As vehicle makers get back to normal and sales rebound, one thing that's not bouncing back is their warranty expense. Key warranty metrics continue to decline, including claims as a percentage of revenue. And once again, the warranty reserve fund balances of the top vehicle makers and their suppliers are growing. In terms of warranty metrics, automotive manufacturers are in a stronger position now as they recover from the recent economic downturn than they were when it began three years ago. Warranty expenses have never been lower for some top OEMs, and for all of them as a group, the expense rate continues to shrink as a percentage of sales. But while it's great to see them reduce warranty costs by building better products, it's somewhat sad to see them cut their warranty expenses by shifting more of the burden to their suppliers. And that's the hidden story in the charts that follow: The OEMs are becoming experts at recovering more of their warranty costs from their suppliers. The warranty data is gathered from each company's quarterly and annual reports, as filed with the U.S. Securities and Exchange Commission. With this week's newsletter, we're adding a half year of data to the figures in the April 7 newsletter, and we're adding nine months of data to the auto OEM report of November 18, 2010 and the auto parts report of December 2, 2010. We've now been collecting this data for 34 quarters, since the start of 2003. In Figure 1, we're tracking the cumulative claims payments of 45 OEMs and 108 auto parts suppliers, all based in the U.S. Among the OEMs, General Motors Co. and Ford Motor Co. are the largest warranty providers (as measured by claims paid), while among the parts suppliers, Cummins Inc. and Johnson Controls Inc. are at the top of the list. Notice that the OEMs pay out roughly six times as much as their parts suppliers. Or, if one assumes that the OEMs are the supplier's customers, and that the OEMs are reporting payments net of reimbursements, another way to put that would be to say that one-sixth of the OEMs' warranty claims are billed back to their suppliers, while they themselves retain and pay roughly five-sixths of the total bill. Actually, the long-term average over the 34-quarter period covered by Figure 1 has 87% of the claims being paid by the OEM and 13% paid by their suppliers. But in the 10 quarters since the recession really took hold, the average has dropped to 84% OEM and 16% suppliers. As we shall see, it's a big change for the suppliers but a minor shift for the OEMs. In most quarters, the total bill for all automotive warranty claims is usually a bit above $3 billion. But as can be seen in Figure 1, the total has been below $3 billion for nine of the past 10 quarters. The sole exception is the final quarter of 2009 when OEMs paid a net $2.62 billion and their suppliers paid $471 million, for a total industry figure of $3.091 billion. In 2011, claims have reached some of their lowest levels in years, with OEMs paying out $2.068 billion and $2.127 billion in the first two quarters of the year and suppliers paying out $358 million and $381 million in the first and second quarters of 2011, respectively. It's much the same story with accruals. In Figure 2 below, one can see the deep notch in the data for the first three quarters of 2009, when few product were sold and several major warranty providers were struggling just to stay in business. Now, things are much better, but still not quite back to normal. For six full years, industry accruals were always over $2.5 billion per quarter. But in the last 10 quarters, they've reached that level only once (again, as with claims, in the final quarter of 2009). In the first quarter of 2011, OEMs set aside $1.882 billion in accruals while their suppliers set aside $398 million. In the second quarter of 2011, the OEMs made $2.065 billion in accruals while their suppliers set aside $403 million. That means the first half of 2011 is ahead of both 2009's and 2010's half-year totals, but still a good distance behind 2008's first half. Over the 8-1/2 years covered by the chart, the ratio between the OEMs' accruals and their suppliers accruals has averaged 85% to 15%. But again, as with claims, there's been a decided shift towards the suppliers. In the past 10 quarters, the ratio has been closer to 80%/20%. In other words, the suppliers are paying a greater share of the total, or more precisely, the OEMs are becoming more successful in their efforts to shift a greater portion of warranty costs to their suppliers. Vehicle sales and therefore accruals are usually at their lowest levels of the year during the first quarter. And indeed, the lowest quarterly total ever recorded for OEMs and supplier accruals was $1.774 billion during the bleak first quarter of 2009. The good news is that in the first quarter of 2010, that total jumped to $1.903 billion. And in the first quarter of 2011, it rose to $2.280 billion. It's still not back to normal, but it's headed in that general direction. Of course, the big reason for fewer warranty claims and lower warranty accruals is declining volumes of vehicle sales. However, there are also some other factors at work, including increased product quality and reduced payments to dealers. For claims, there is the additional problem with the lag time between when a vehicle is sold and when it comes back for warranty work. So it takes a year or two for reduced sales to translate into reduced claims. And in fact, as can be seen in Figure 3, the ratio between claims and sales hit an all-time high during the recession year of 2009. That's because vehicles sold in 2007 and 2008 were still coming back for warranty work even as 2009 sales plummeted. We should note that while the largest OEMs in the group are GM and Ford, and therefore the data is heavily weighted towards passenger cars and light trucks, there are 43 other OEMs in the group making everything from motorcycles and jet skis to fire engines and garbage trucks. There are even a few manufacturers of construction and farm vehicles -- heavy equipment makers such as Caterpillar, Deere, and AGCO. The good news in Figure 3 is that as sales volumes and warranty expenses get back to normal levels, claims and accrual rates as a percentage of revenue continue to fall to historic new lows. For the first time since counting began in 2003, these OEMs spent less than two percent of their revenue on warranty claims during the second quarter of 2011. And for the seventh time in the past eight quarters, they set aside less than two percent of their revenue in warranty accruals. The sole exception was again, that final quarter of 2009. But as was mentioned, these are net numbers. They reflect the increasing success the OEMs have had in recent years in their efforts to shift more of their warranty costs to their suppliers. The partial proof of that can be seen in Figure 4. The 108 auto parts suppliers that we're tracking aren't setting any record lows with either their claims or accrual rates. In fact, the real story is that both metrics are just recently getting back down to 2008 levels after soaring in 2009 and 2010. The second quarter of 2011 was the first time in three years that auto suppliers saw their average claims rate fall below 0.6%. And while it was the fourth quarter in a row that their accrual rate fell, it's still not quite all the way back to where it was in 2008. In Figure 5, we've taken the data from Figures 3 & 4 and put it into a single graph. That way, it's easier to see how the gap between the OEMs and their suppliers has changed over the years. The gap between their average claims rates, for instance, has averaged 1.9% over the years. But it's been as wide as 2.5% (in early 2009) and as narrow as 1.4% (in the most recent quarter). Likewise, the long-term difference between their average accrual rates has been 1.7%. But it's been as wide as 2.3% (middle of 2005) and as narrow as 1.0% (early 2010). For the past five or six quarters, the gap between them has remained quite narrow. And it has more to do with the OEMs reducing their costs (Figure 3). But what we're suggesting is that while the OEMs did reduce their total cost, what really moved the averages was their reduction of net costs. In other words, they shifted more costs to their suppliers. And that's why the suppliers' share of the claims pie has jumped to 16%, why their share of accruals has risen to near 20%, and why the gap between OEMs and suppliers has narrowed so dramatically in recent years. For individual OEMs, the warranty news has been spectacular in the first half of 2011. GM has kept its accrual rate close to two percent during both the first and second quarters of 2011. Ford's claims rate fell below 1.6% for the first time ever in the second quarter. And Caterpillar turned in its lowest claims rate ever -- 1.7% -- in the most recent quarter. Part of the reason is better products, leading to reduced outlays. But part of the reason is also increased supplier recovery efforts, leading to increased reimbursements. We're not going to publish midyear reports for all 14 industry sectors in the weeks ahead. But we did run a report on new home warranties two weeks ago, and will run a report on computer warranties next week. In general, what we're seeing is a reduction in the size of the pie slice given over to vehicle warranties and an increase in the size of the slice given over to high-tech product warranties. For instance, back in 2003, around half of all claims were paid by vehicle makers, while 36% came from high-tech products. The portion accounted for by buildings, fixtures, furniture, appliances and other household materials was around 14%. Last year, the vehicle share fell to 46%, while high-tech rose to 38%, and buildings rose to 15%. But since claims payments fell overall, what was really changing the percentages the most was the reduction in vehicle warranty claims. As can be seen in these latest statistics, that trend continues. Fortunately, sales are generally up within the vehicle sectors. Ten of the companies we track saw sales rise by 50% or more, including Tesla Motors Inc. (+63%); Paccar Inc. (+60%); and Cummins (+50%). Among the five largest warranty providers in this sector, Cat's product sales were up 49%; Deere was up 34%; GM was up 16%; Navistar was up 10%; and Ford was up 5%. Warranted product sales growth was 15% for the OEMs and 17% for the parts suppliers. Finally, we wanted to update the metrics for warranty reserve fund balances, primarily because something positive is happening. The totals are growing again! The increases may be tiny, but there have now been three increases in a row. So that suggests a trend is taking shape. In Figure 6, it looks as if the balances hit bottom in the third quarter of 2010, when the OEMs held $12.78 billion in reserves and their suppliers held an additional $2.76 billion. In the most recent quarter, the OEMs were back up to $13.34 billion while the suppliers were up to $2.83 billion. Like we said, it's not much, but it's still an increase. And given that for twelve quarters in a row there were nothing but decreases, any increase is a welcome sign. And since in Figure 3 we saw that OEM claims and accrual rates continue to fall to historic lows, we know they're not increasing reserves because they anticipate higher payouts. If they were doing that, accrual rates would have turned upwards first. In other words, they're ending a trend that began in the middle of 2008, and are instead now allowing their reserves to grow again. And though we're not charting the ratio between claims and reserves this time around, we can report that it's back up to around 19 months for the OEMs and 23 months for the suppliers. So that means the recent increase in reserves represents a bit of a thickening of the cushion for these automotive manufacturers. Tarsus Technologies launches accidental damage protection in South Africa. Rheem customer discovers Canadian and U.S. warranty differences. Global Warranty Group signs service contract deal with Hoffco Distribution. What to look for in a prepaid maintenance plan. What to look for in a home warranty program. Earth Tech introduces Sinkhole Stabilization Warranty. Home Warranty of America named to the 2011 Inc. 5000 list. RoofScreen Manufacturing increases solar warranty to 20 years. RJE International voyage recorder beacons have 5-year warranty. Prius plug-in's battery gets 10-year, 150,000-mile warranty in California. Court says arbitration not mandatory for Porsche warranty claims. Gwinnett County & GM sign agreement for warranty work on its fleet. FEMA says flood-damaged appliances, HVAC may have to be replaced. Replacement of Boston T's defective rail ties a year ahead of schedule. Husqvarna to end Yazoo/Kees brand name but warranties will continue. Vehicle service contracts: Are they worth it? Airbag warranty claims prompt Hyundai Veracruz & Santa Fe recalls. Sniffing out a flood-damaged car. JLT Mobile Computers extends its warranty to three years. Do longer warranties make onboard navigation more costly than portable units? Lantronix says gross profit margin fell as warranty expenses rose. Asurion and NEW partner with PlumChoice for support & service contracts. South Korean Fair Trade Commission makes Apple revise iPhone warranty. RAC Warranty says used car dealers need variable warranty durations. Is gadget insurance worth it? Preferred Warranties recognizes tech service manager Ken Delaney. NHTSA probes 14,208 warranty claims for Chrysler minivan headlights. Warranty Direct adds "disappearing deductible" to its vehicle service contracts. HomeServe plc hosts seminar focusing on its USA business. Smarter Warranty America aims sprinkler service contracts at contractors. VW says its warranty costs are dropping about 10% a year. Mercedes-Benz Thailand dealers won't do warranty work on grey market imports. Dell to repair broken Alienware hinges regardless of warranty status. Constant Aviation becomes an Embraer authorized service center. Carl-Peter Forster, CEO of Tata Motors, resigns after 18 months. Malaysian Airline System sued by GIRO Warranty House International. Baxi offers 5-year boiler warranty to those who register online. Lawsuit alleges US Fidelis financier Mepco was in on the scam. FBI agents execute search warrant at bankrupt solar company Solyndra. Southwest Windpower offers lifetime warranty for small wind turbines. HomeServe outlines plans for expansion in the US. Saab denied bankruptcy protection by Swedish court. Saab Automobile AB files for voluntary bankruptcy reorganization. VW says warranty costs have fallen every year since 2005. Seagrave Fire Apparatus repairman remembers 9/11's impact on FDNY. REC beefs up solar panel warranty, wins 2011 Solar Industry Award. PTC acquires warranty management software vendor 4CS Solutions Inc. Brick case defines boundary between insurance and extended warranty. City of Cresco, Iowa, authorizes sewer line warranty program. Canon Europe offers additional year of warranty on XF Pro Camcorders. First Solar extends workmanship warranty to 10 years. Game and Gamestation stop selling pre-owned Xbox 360 consoles. Dimplex offers 10-year warranty on its solar PV panels. Printacom adds 3-year on-site warranty for Oki printers in South Africa. MSX International expands its warranty management business. UK's OFT probes whether consumers get good value from extended warranties. 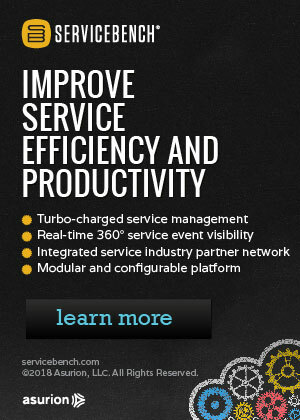 ServicePower Technologies earnings report reflects "strategic transformation." Vauxhall seeks oldest car with under 100,000 miles & original owner. Tim Kinsella joins PowerGuard Specialty Insurance Services. U.S. can sue First Choice over defective Zylon body armor. China Sunergy Co. extends warranty on solar modules to 10 years. Solar-panel maker Solyndra shuts its doors; warranties uncertain. J.D. Power report finds heavy-duty truck engine quality improving. BBB Auto Line service turns 30 years old. Trinidad to allow import of 6-year-old cars, requires 3-month warranty. Murthy, Karim & Blischke publish "Warranty Data Collection and Analysis." FTC returns almost $3.2 million to auto warranty robocall victims. FDA panel wants implant warranty to be linked to joining registry.